The starchy tuber is the secret ingredient in delicious sweets throughout the city. Taro—the starchy tuber native to india and Southeast Asia—can be prepared many ways. Like potatoes, the taro root is most commonly mashed, deep-fried, or sometimes baked into chips. 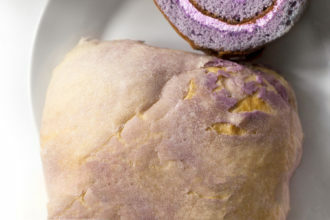 But while the lilac-hued root vegetable is certainly an enjoyable and welcome component of savory dishes, it is also often incorporated into sweets. We looked around and found a few worth trying. 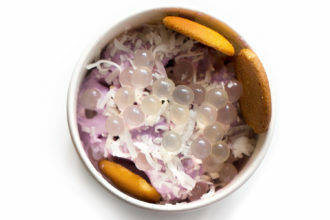 Advice: The creamy taro and lychee ice cream—better known as “Ice Ice Baby”—is best topped with coconut flakes, boba, and vanilla wafers. 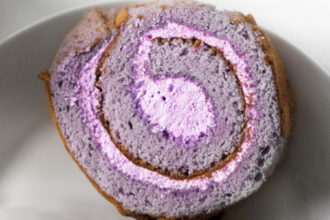 Pretty straightforward, as far as cakes go: flour, butter, eggs, sugar, and taro root. A top-seller at the Taiwanese chain that landed in North Texas last year, this mixed-grain bread is filled with a sweet taro paste.